‘Real Sports with Bryant Gumbel’ reveals stunning lack of support for Olympic Athletes. As the 2018 PyeongChang Winter Olympic Games draw closer, the dreams of hundreds of hopeful Olympians from around the world will be realized. 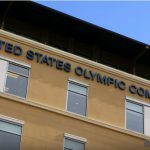 Olympic athletes in the United States of America often encounter larger obstacles in realizing their dreams as compared to their counterparts from other developed nations, and they have the United States Olympic Committee to blame for that. On Tuesday, Jan. 30, “Real Sports with Bryant Gumbel” on HBO will debut “Episode 250: U.S. Olympic Pay Gap” in which the show will speak with current and former United States Olympians about the financial burdens that representing the United States in the Olympic games has placed upon them.